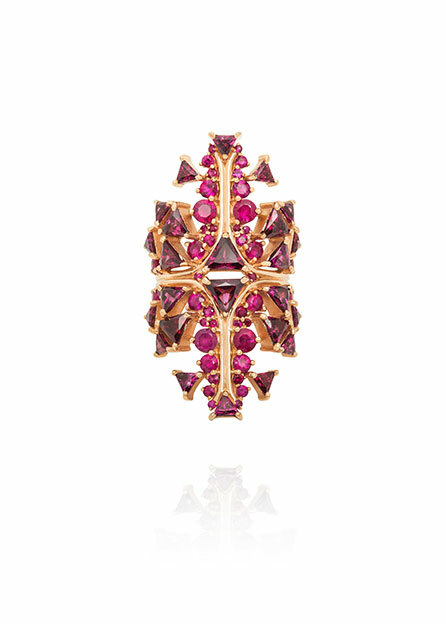 Although he’s an emerging star on the London scene, Brazilian fine jeweller Fernando Jorge takes inspiration from the laidback attitude and effortless sensuality of his home country, finding fresh and sophisticated ways to transform local gemstones into contemporary heirlooms. 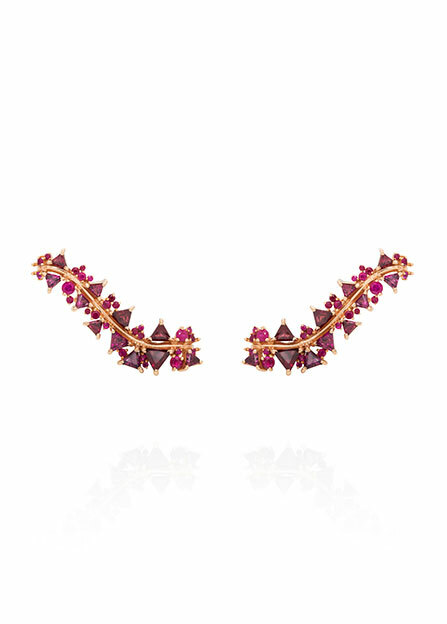 Initially studying in São Paulo, Fernando worked for close to a decade in the Brazilian jewellery industry before completing an MA in Jewellery Design at Central Saint Martins, London. Ever since Fernando has created collections with a natural and dynamic attitude, an electric sense of energy and movement that hold distinctly sculptural feel that is both elegant and modern. Fernando’s 2014 “Fusion” series explores the intimate mechanics of our natural world, playing with an array of proportions from the atomic to the cosmic. 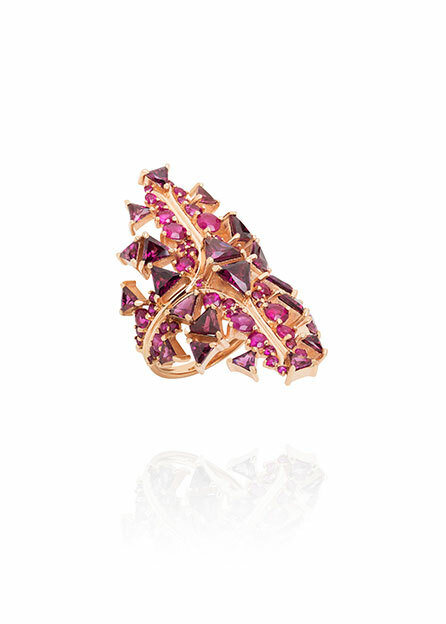 A cocktail ring and a set of curvilinear ear cuffs are set in tumbling cascades of Thai rubies and triangular Brazilian rhodalites, surpassing the pale amethyst and opaline tones of the collection for a majestic, fiery brilliance.